As the world appears to be getting increasingly smaller with the effects of Globalisation taking hold, far more businesses of all sizes are looking for opportunities to invest abroad and start new business ventures abroad. For many, the starting point is obtaining a UK business visa. 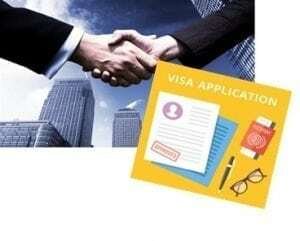 The obstacles faced when getting a business visa is not simple, but not impossible, if you know what to do. Unfortunately, not everyone is aware of how to make a successful application. In order to set up a business visa, it is important to first be aware that a business immigration visa can only be obtained if you are about to set up a business or run a business in the UK. This requirement is for those who are nationals of a country outside the European Economic Area and Switzerland. Just like any other visa, there are eligibility requirements which are to be met. In terms of being able to obtain a business visa, you would need to have access to at least £50,000 investment funds to apply for a Tier 1 (Entrepreneur) visa. These funds must be held in one or more regulated financial institutions and free to spend on the business in the UK. Please note that there are different eligibility requirements depending on the amount a person has access to. This is dependent on the amount that they have access to £50,000 or £200,000. A business visa can also be applied if the funds of £50,000 have already been invested in a UK business. These funds must be invested less than 12 months before the application. There are age restrictions to take into consideration for a business visa the applicant must be aged 16 years old or over and be able to show that they are able to support themselves during their stay in the UK. It is important to remember that the investment funds cannot also be used as part of the savings needed to show that they are able to support themselves. As you will have gathered from reading this, the process of obtaining a business visa is complicated and technical. However, with the right legal advice in place, you will have a far greater chance to ensure that your business visa won’t be refused. It is imperative that you do seek advice from someone who has the correct knowledge in relation to business immigration. 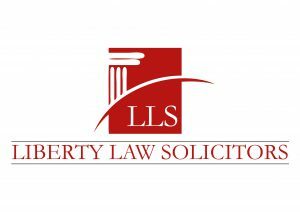 We at Liberty Law Solicitors advise on all aspects of UK immigration and will be happy to talk you through the entire process. Don’t hesitate to contact us today!